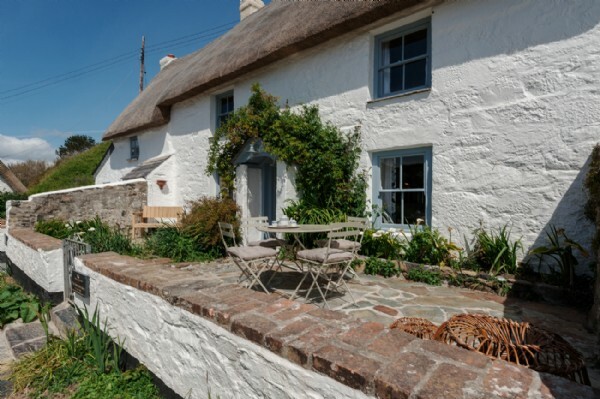 Weave down Cornwall's leafy lanes to reach The Lizard Peninsula and prepare to fall in love with one of the most ancient and iconic homes in Cadgwith Cove. 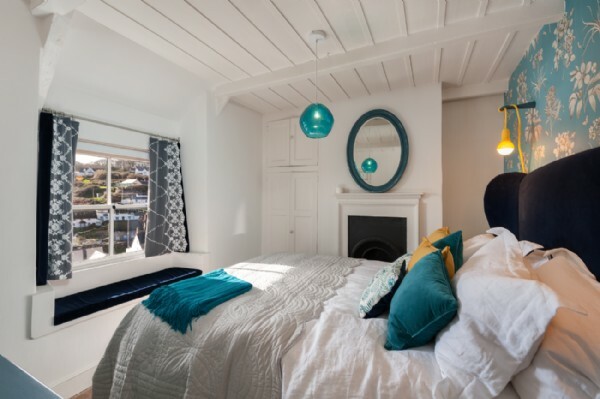 Proudly perched above the azure waters of this picture-perfect natural harbour bobbing with colourful fishing boats, The Fisherman's Knot is a luxury self-catering fishermen's cottage with a chic vintage seaside style. 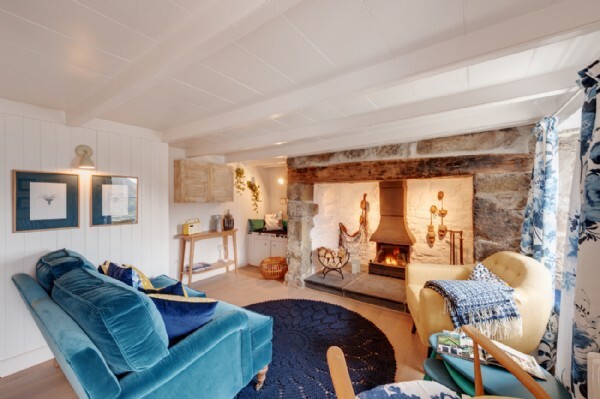 This luxury fishermen's cottage will delight stylish families looking for a traditional Cornish holiday cottage with the wow factor. 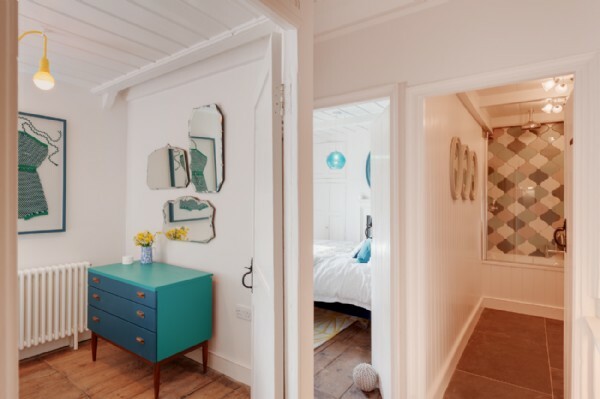 The peacockish interiors are fun and decadent, yet perfectly practical for families wanting a jolly seaside jaunt. 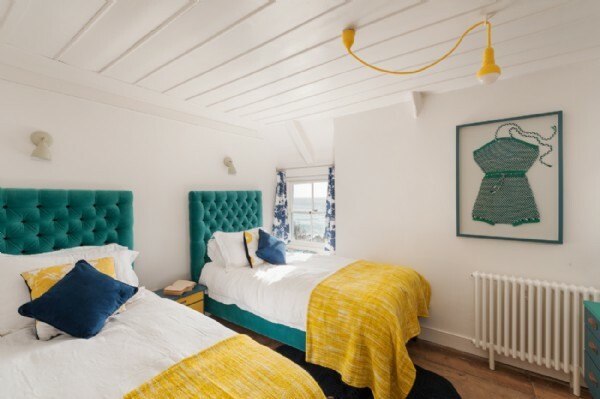 Mirroring the wild coastal panoramas across Cadgwith Cove, ultra-cosy furnishings in shades of inky blue and sunshine yellow have been thoughtfully placed against the rustic natural backdrop to give a nod to the nautical. 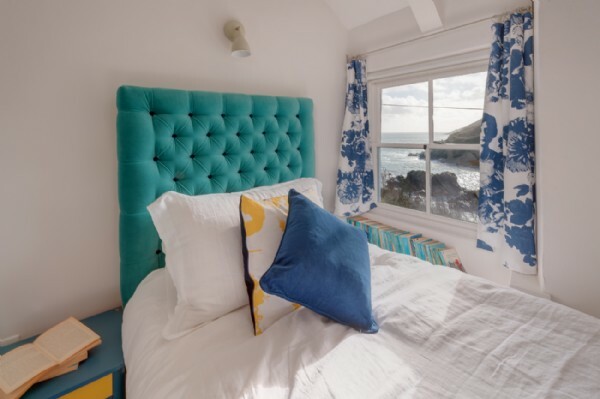 Both bedrooms sit on the first floor to ensure mornings start from the very best vantage point with views over dreamy Cadgwith Cove. 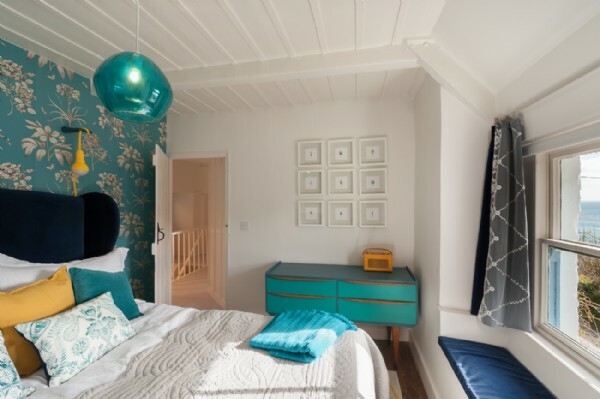 The master has a tropical touch with a botanical feature wall set behind the sinkable king-size bed, while next door the twin bedroom will capture children's imagination, continuing the sixties-meets-seaside theme. 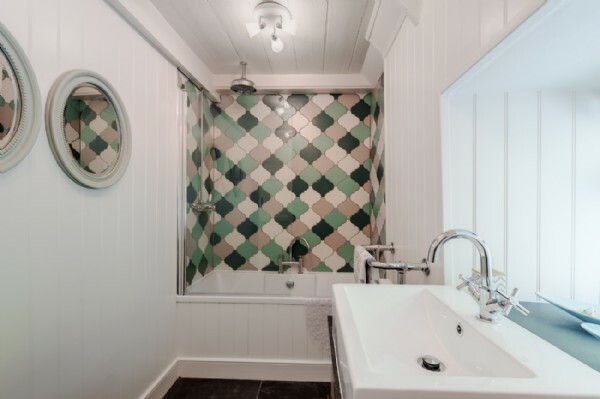 The family bathroom is also on this floor including WC, bath and overhead shower. 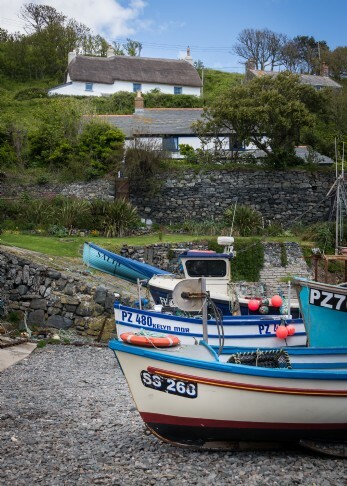 Once a smugglers haven, the history-laden Lizard Peninsula will inspire the most discerning of travellers. 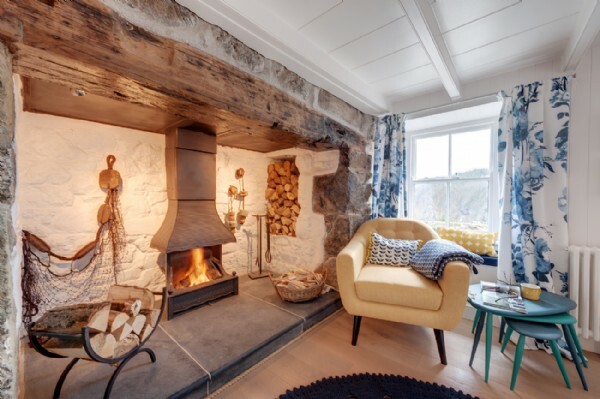 Hugged by the ocean on three sides and by the meandering Helford River on the forth, Britain’s most southerly point offers a varied landscape to satisfy both daredevil surf-types and dreamers of halcyon Blyton scenes. 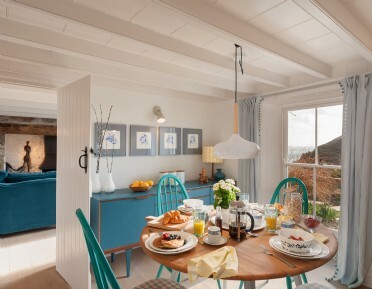 Fill your sandcastle bucket with a bottle of bubbly on crushed ice before skedaddling across the path to catch the sunset from the patio, where outside seating and far-reaching sea views create an idyllic spot for al fresco dining. 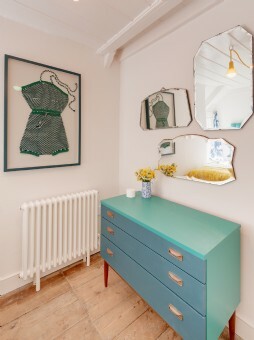 The sitting room is adorned with bold furniture, vintage fishing nets and crocheted doily rug to provide a quirky haven for relaxation after a day spent ambling the pretty fishing villages and coast paths. 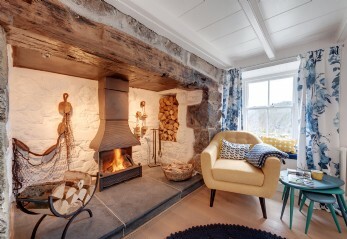 Snuggle into the deep velvet sofa with a favourite film and let the children toast marshmallows over the open fire for an after dinner treat. 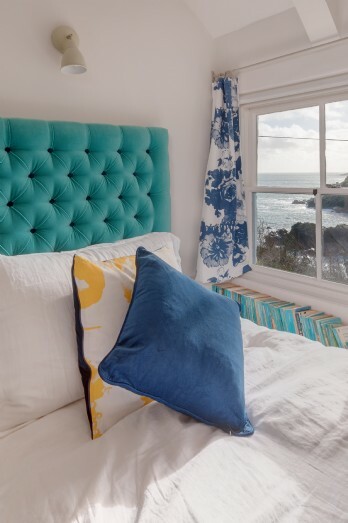 Listening to the lapping of the waves is sure to have sleepy heads fall into a sublime slumber. There is allocated parking for one car 20 yards away from the property. 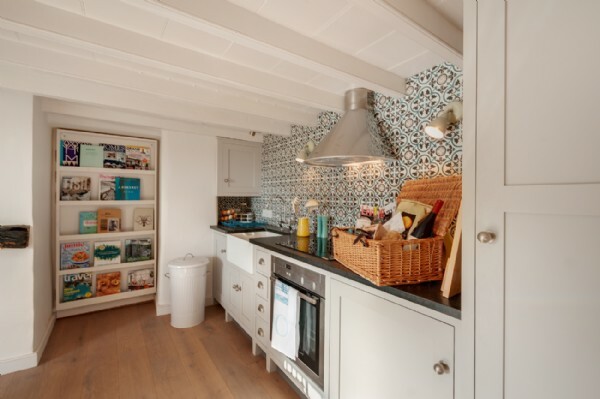 The open plan kitchen comprises an electric cooker, hob, microwave, fridge freezer, dishwasher and combined washer dryer. 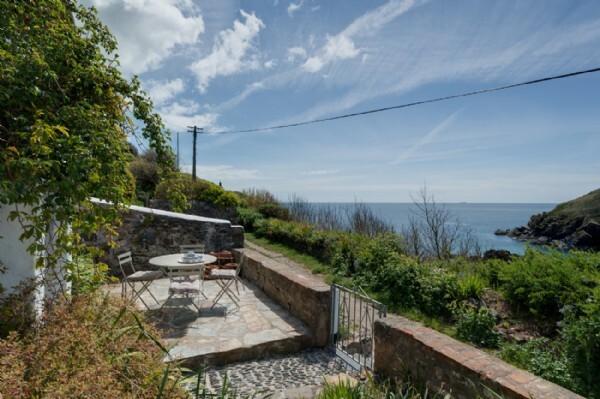 This property can be booked in conjunction with The Sea Rose next door, perfect for lovebirds within the group. 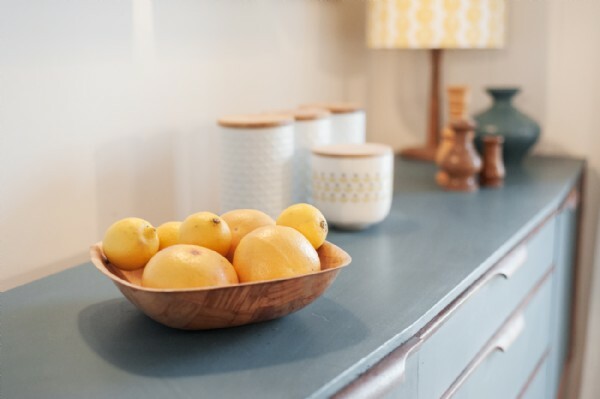 Style: This is a real stand out home. 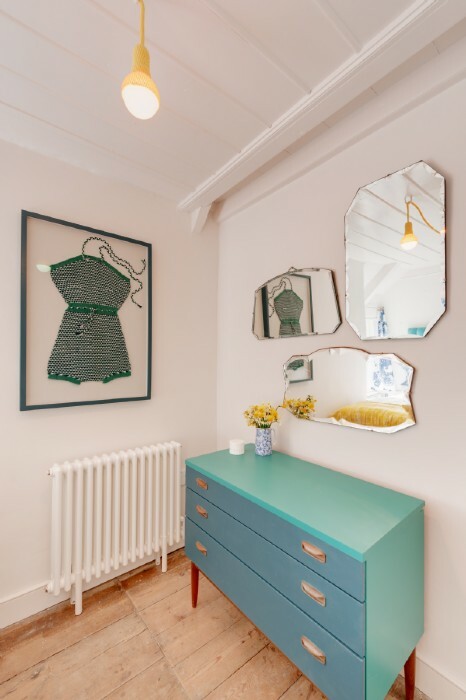 From the framed pressed seaweeds to the knitted swimsuit and lobster pots, the eclectic assembly of vintage accessories rouse visions of good old-fashioned holidays by the sea. 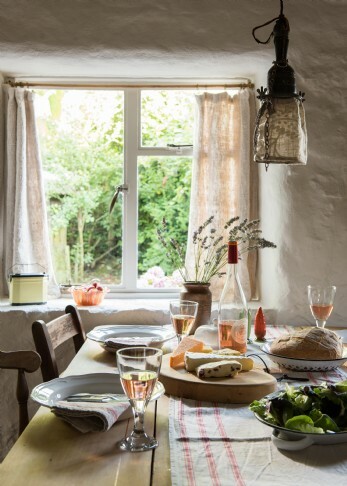 We love the cottage for its escapism! 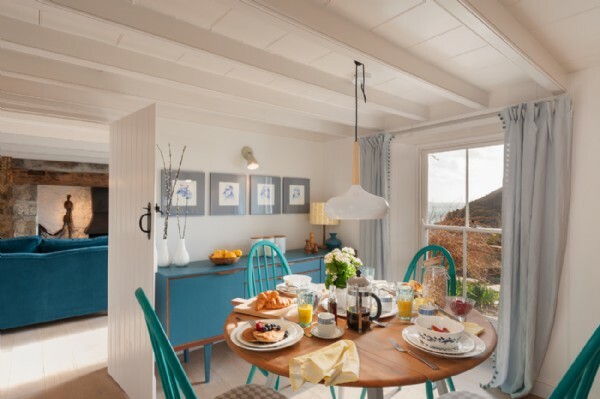 It enjoys an elevated position looking out over the sea, the cove and Cadgwith village, allowing you to watch the fishing boats at work. 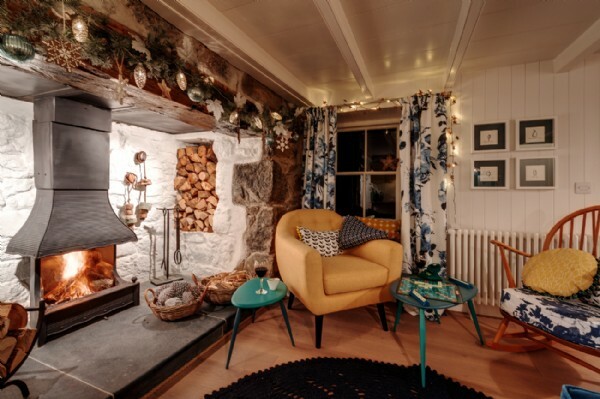 At night there´s nothing better than hearing the sea crash beneath the starry skies from the comfort of this cosy cottage. 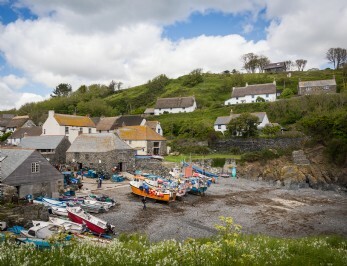 Discover places to see and things to do whilst in and around Cadgwith Cove, Cornwall to truly enhance your stay come rain or shine! 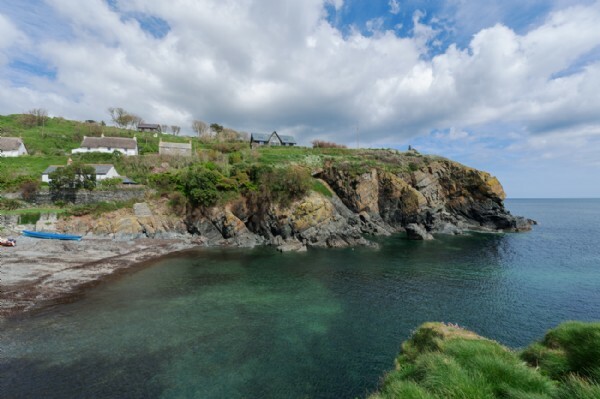 On Foot Spend a day stomping the well-trodden Cornish cliff paths and take in the dramatic views across Cadgwith Cove, Coverack, Poldhu Cove, Kynance Cove and beyond! 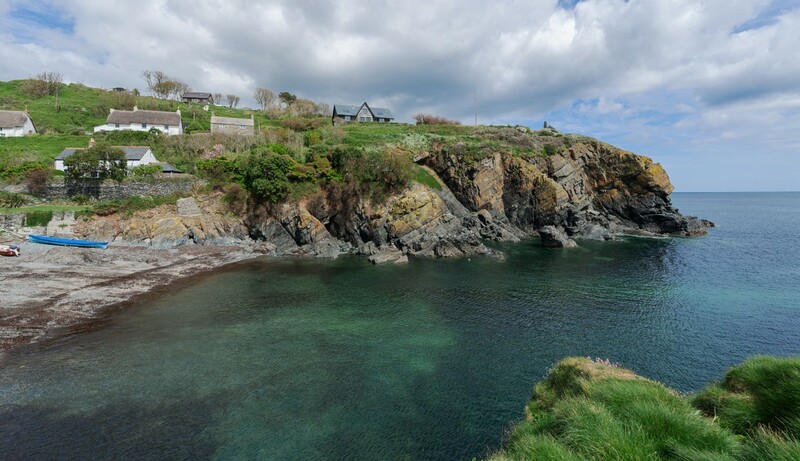 The path south goes past the iconic “Devil’s Frying Pan”, a collapsed sea cave with a remaining arch, and onto Lizard Point, the most southerly point on mainland Britain. 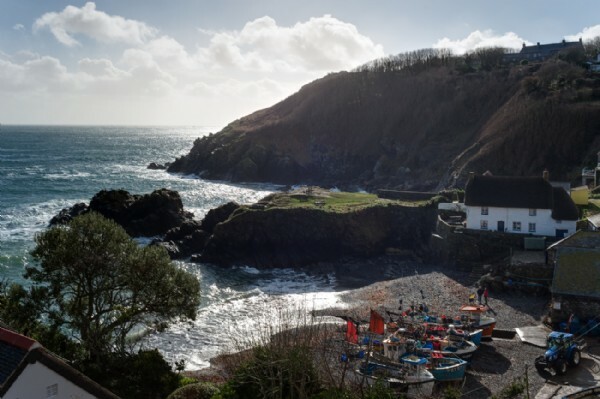 For Little Ones From famous Cornish theme park 'Flambards' to the small Camel farm on The Lizard (which offers unique woodland treks! ), there are great days out for children of all ages whatever the weather. 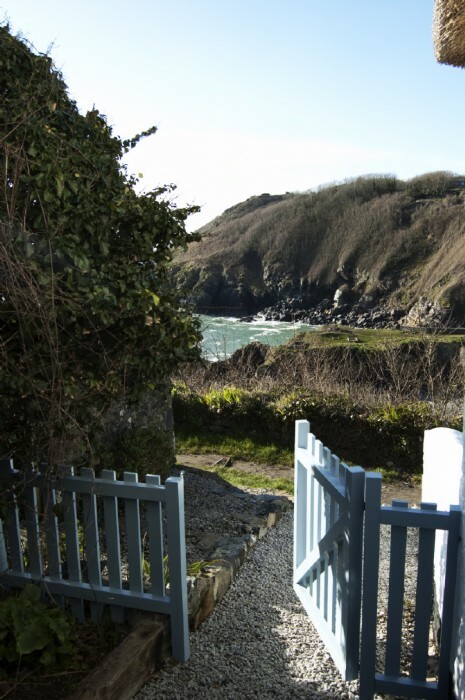 The Cornish Seal Sanctuary is set in the picturesque Helford estuary by the beautiful village of Gweek. 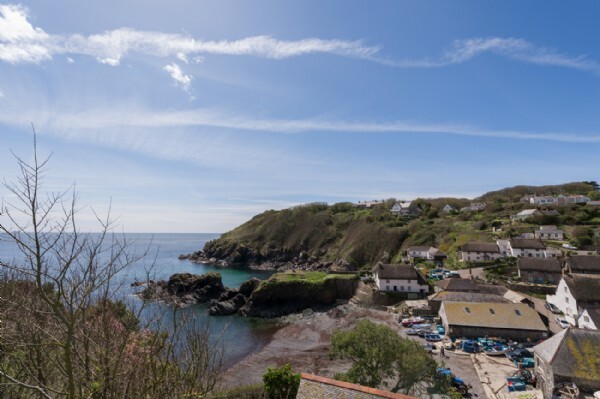 This busy rescue centre has many breeds of resident seals as well as Patahonian and Californian sea lions, penguins, otters, goats, sheep and ponies. 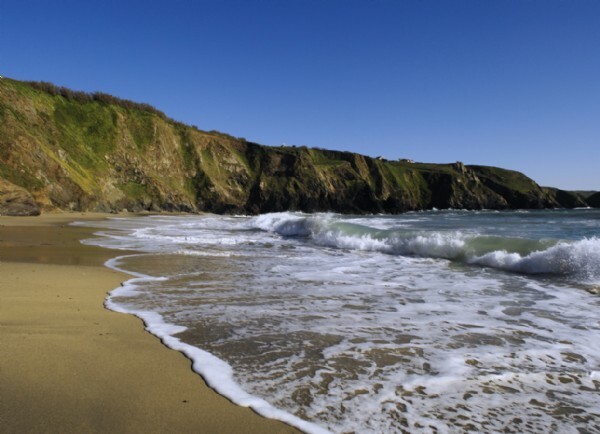 Mermaid Tales On sunny days, armed with a pair of binoculars and picnic, find a grassy knoll on the cliffs and and try dolphin watching. 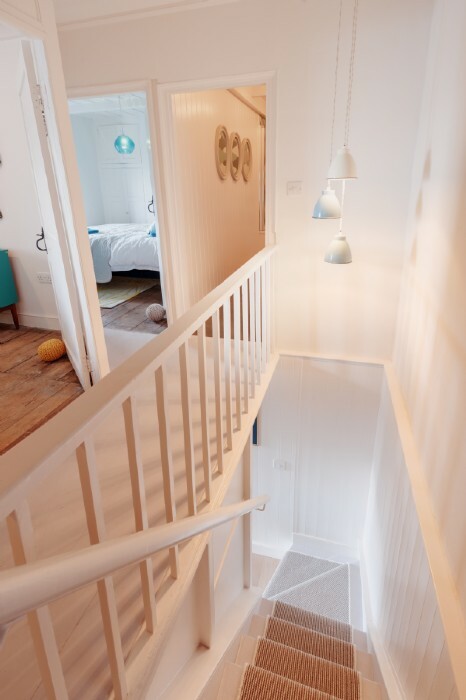 Make sure children keep their eyes peeled for glimpses of the mermaids who are rumoured to frequent the shores! Fore! Mullion Golf Club on the Lizard Peninsula is not only the most southerly course in England but one of the most beautiful in the West Country. Framed by sandy coves and protected reed beds, the course (now well past its centenary) has always attracted the literary giants who not only enjoyed the golf but were also fascinated by the ambiance. Seal's Eye View There are numerous beaches and coves to explore not far from the doorstep, bringing plenty of opportunities for surfing and sailing. Why not jump on board with friendly skipper Nigel, made somewhat of a local celebrity on Monty Halls' The Fisherman's Apprentice? 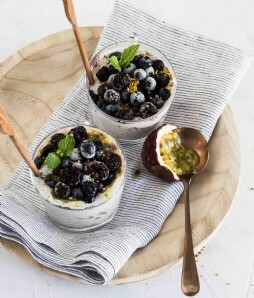 Or launch off the coast from a kayak and see the wildlife from a completely unique viewpoint, meandering in and out of the hidden inlets and sea caves. 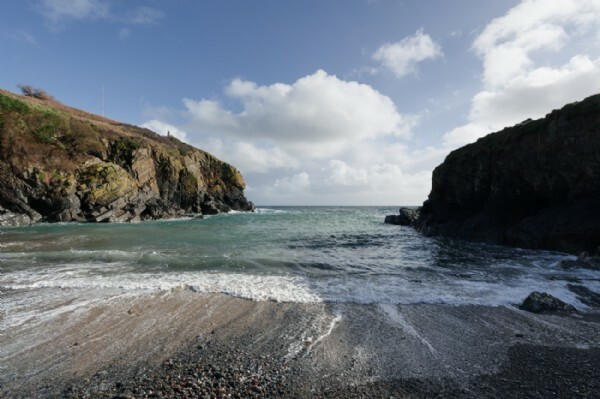 Nearest Beach: Cadgwith's shingle beach is less than 400ft, just two minutes’ walk away. 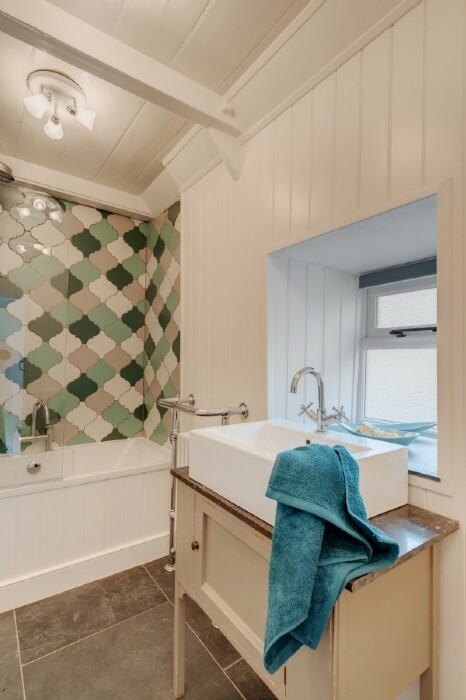 The Moroccan patterned tiles and handmade kitchen make the open plan dining area an inspirational space to get culinary juices flowing. Whether it be barbecued lobster or melt-in-the-mouth cod with mushy peas, don’t miss out on the fisherman’s catch of the day! 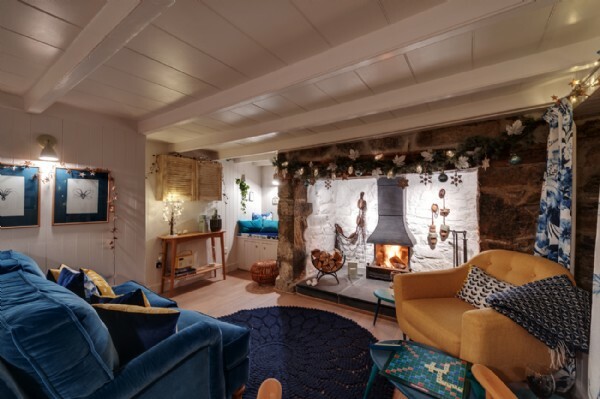 Pull up a pew and tuck in to a home-cooked supper at the local Cadgwith Inn as you listen to the locals sing sea shanties into the wee hours. 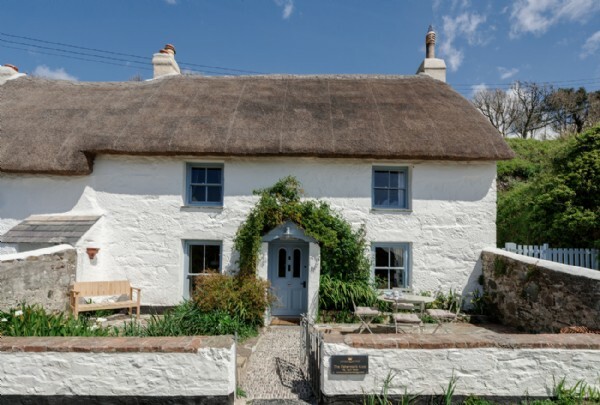 Cornwall is fast becoming a honey pot for celebrity chefs and this faraway corner of the county is no different! 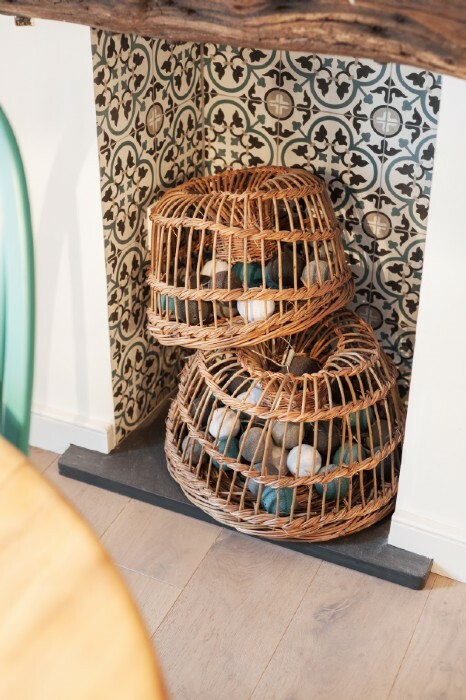 Head to Porthleven to find the new addition to Rick Stein’s empire and enjoy excellent seafood in this beautiful harbour town. 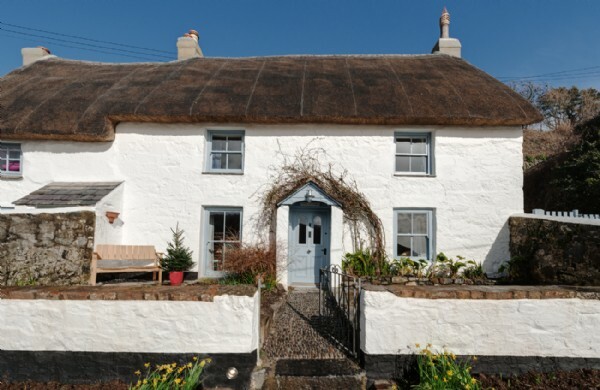 Another good option in Porthleven is the Kota Kai, with its relaxed family-friendly atmosphere and fresh menu.